I have wanted one of these ever since I learned what they are. 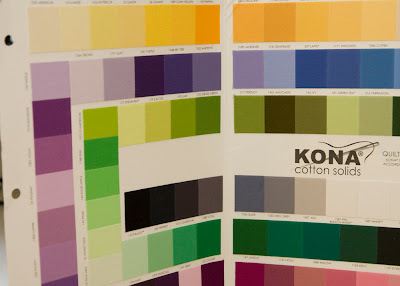 I'm constantly frustrated by the lack of selection of Kona solids that I can find at Joann's, but I don't dare order any online to match certain fabrics because the swatch on the screen never seems quite right. 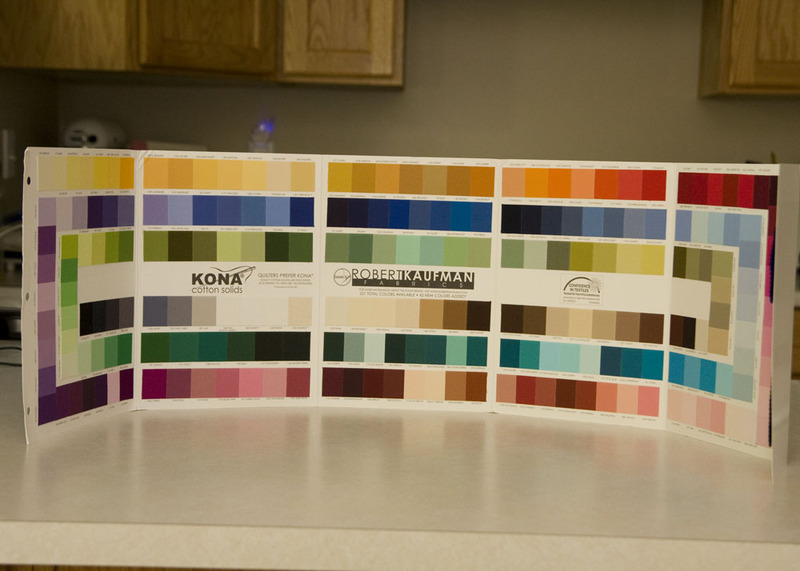 Kona color cards can be pretty difficult to track down. For some reason they seem to be a bit exclusive. 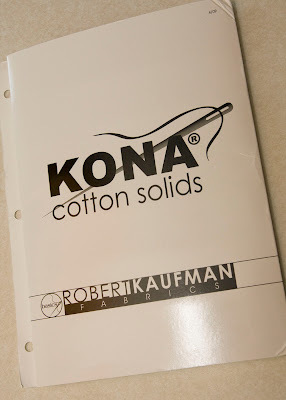 I held off for a while hoping that Kona would put out a new one as this is their 2009 card. Finally, I decided to just buy one because I had several projects that it would have been very handy for. Once I decided I buy it, I couldn't find any on the internet. I have been looking for about a month. Just the other day I happened to come across this one on Etsy. I was so excited and ordered it immediately. I just love looking at it. 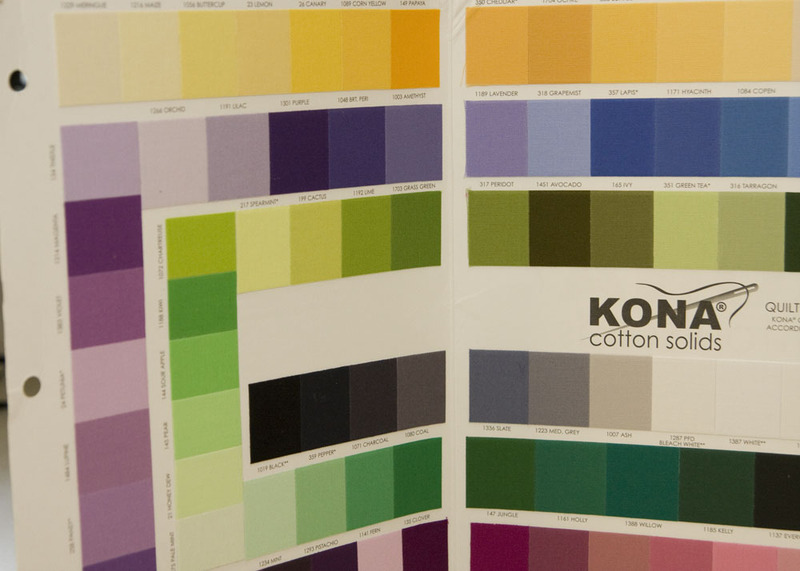 It makes me want to make a quilt completely of beautiful solids. The card contains samples of 200+ Kona quilting solids. I can now match almost anything. 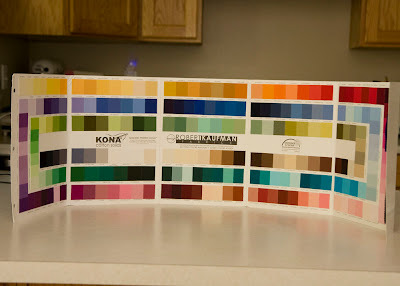 I really am loving these teals and am thinking of ideas. Since you have one... 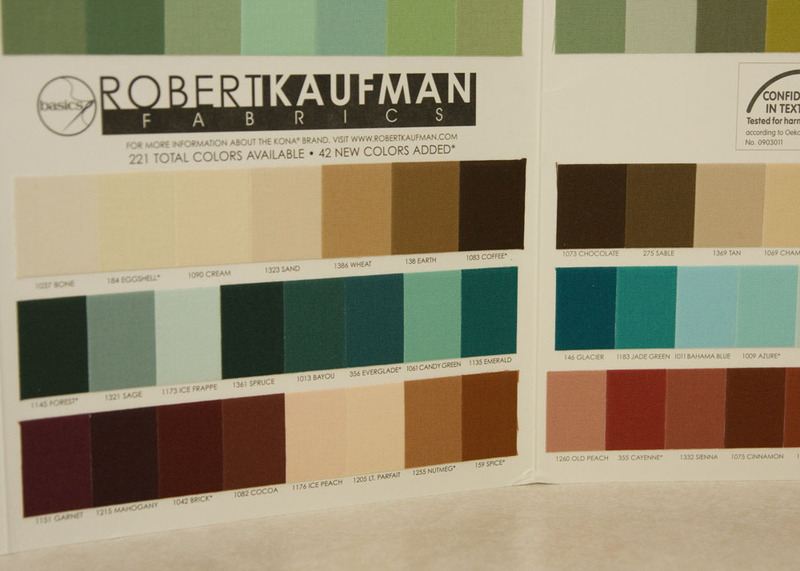 I picked up some lucious "Spring" at Hobby Lobby. Now I need about one more yard. Problem is that I can't find it ANYWHERE. I found "Asparagus" in a couple of online stores, and it looks like it could be the same color. Can you tell me if they're even close? It'll even be okay if the asparagus is just a titch darker. Help!